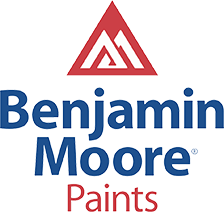 Come in and check out our full line of Benjamin Moore interior and exterior paint! Paint is the easiest way to freshen up the look of your home, whether it’s a few years or a few decades old! From in-house services to some of the best brands on the market, the Aubin Ace team provides many of the name-brands with the personal touch missing from those big box stores. Not Sure Where to Start Your Shopping? Every team member at Aubin Ace Hardware is extensively trained, knowledgeable of the products sold, and will help you from the moment you walk in the door. The staff at Aubin Ace Hardware is always dedicated to providing you knowledge and expertise rarely seen today. We are proud to have served our community for 40 years and are honored to be named your 2015 Reader's Choice Award Winner for Independent Hardware Store. With over 165 combined years experience, we are reminded daily that the dedication of our staff, and the loyalty of our customers, are key to our success. We are proud to be uniquely qualified to service our community and look forward to earning your vote of confidence for years to come.